“I’ve always had an appreciation for older pickup trucks,” Bruce Betancourt said. After he first retired in 2003, Betancourt had the time to pursue the acquisition of an old pickup. The problem in looking for an old truck in good condition is that trucks, by definition, are workhorse vehicles that often are beat up and abused. 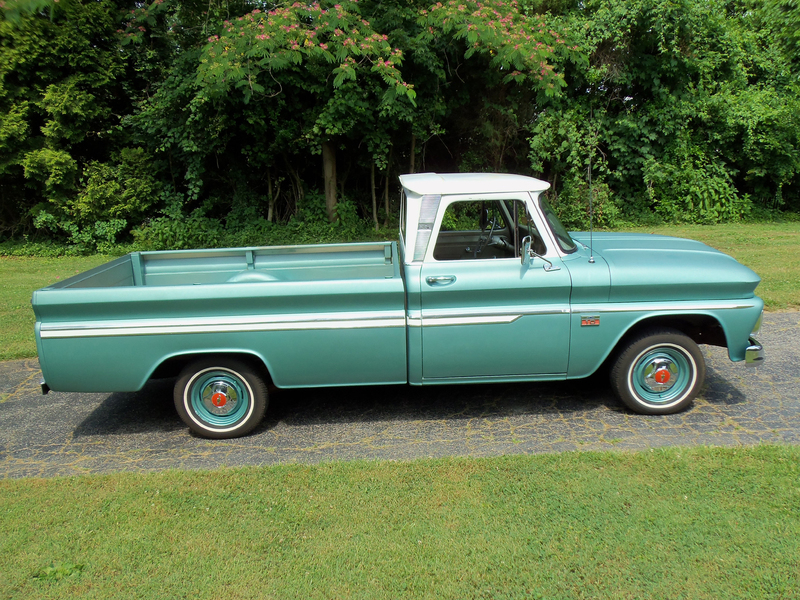 Several trucks were inspected, but did not pass muster before Betancourt saw an ad offering a 1966 Chevrolet C10 Custom model pickup for sale. He contacted the seller in Paola, Kansas, who was selling it for the owner who lived in Oklahoma. The Oklahoma owner had bought the truck in 1989, having purchased it 16 years previously from the original owner in Texas. The first owner had kept the truck for 23 years. 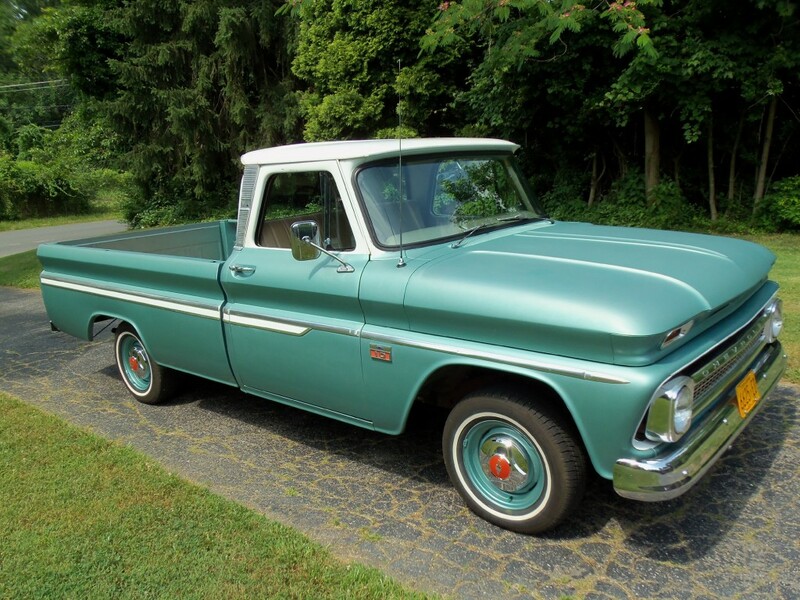 Many detailed photographs of the Chevy truck were sent to Betancourt who perused them all and was impressed with the condition of the 1966 Chevrolet. After several telephone conversations with the seller, Betancourt in March 2005 took a deep breath and decided to buy the truck — sight unseen. “It was shipped directly to my Silver Spring, Md., home via a commercial car hauler,” Betancourt says. The Metallic Green pickup truck with a white top arrived in Betancourt’s neighborhood on a cold, rainy Friday night. Betancourt fired up the 250-cubic-inch, inline six-cylinder engine and drove his newly acquired treasure into the garage and then wiped it down. Many parts in the engine bay appeared to be as old as the truck, which may explain why it was running rough. On the plus side, a close inspection showed that it had never been wrecked. When he first looked over the tailgate into the 8-foot bed Betancourt was somewhat shocked to see the ground beneath the truck. He says the original floor of the bed was long gone. 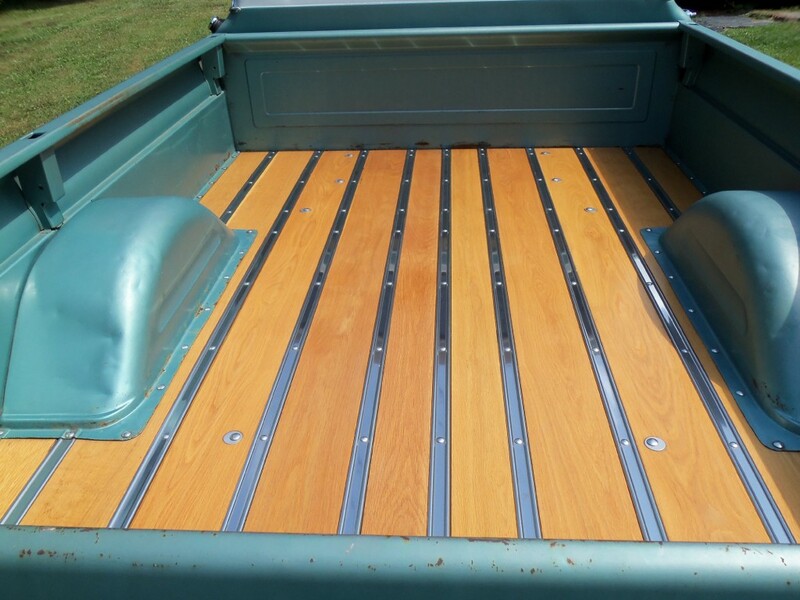 However, in its place was a complete bed kit, including white oak lumber, stainless steel runners and 140 stainless steel bolts to secure the entire package. Betancourt trundled all the white oak planks to his basement where he treated the wood flooring to a coat of marine spar varnish. “It was a challenge installing the floor of the bed,” Betancourt says. He had to enlist the aid of his wife, Kathleen, who, he says wasn’t thrilled with the prospect. 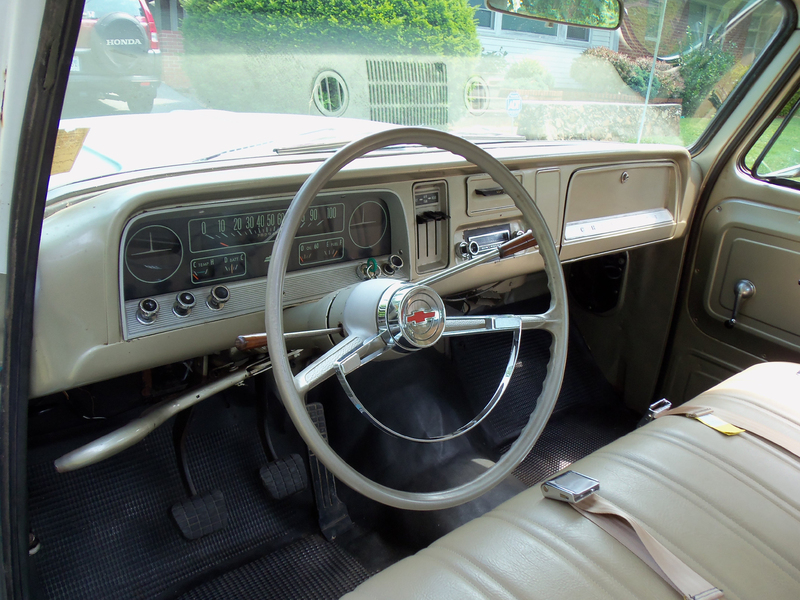 In the years that Betancourt has owned the 1966 Chevy C10 Custom truck, he has patiently and steadily purchased parts from all over the United States to bring it back to original condition, including an AM radio from Ohio, a rebuilt radio speaker from Missouri, a two-spoke 1969 steering wheel from Colorado, a 1969 interior mirror from California, an air cleaner from Virginia and taillight trim from Washington. The six windows are slightly tinted and the large rear window is the panoramic model. The fawn-colored vinyl bench seat has been reupholstered and now rests on a black rubber floor mat. When the cushion of the bench seat is lifted the tire changing tools are exposed.